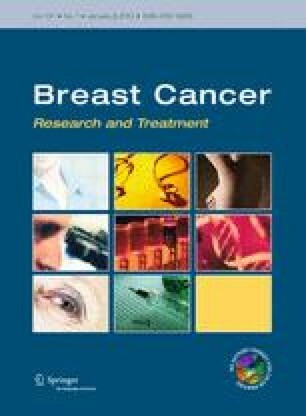 Studies of the association between polyphenols dietary intake and breast cancer risk have been limited due to the lack of detailed food composition tables. In addition, none has examined this association according to alcohol intake, despite the facts that alcohol is an established risk factor for breast cancer and that the contribution of alcoholic beverages to polyphenol intake varies according to the level of alcohol consumption. Our objectives were (1) to estimate the associations between breast cancer risk and a wide range of dietary polyphenols using the recently published Phenol-Explorer database; and (2) to evaluate if/how alcohol intake modulates these relationships. 4,141 women from the SU.VI.MAX prospective cohort were followed from 1994 to 2007 (median followup: 12.6 years); 152 developed a first incident invasive primary breast cancer. Dietary intakes were assessed by repeated 24-h records. The Phenol-Explorer database was used to estimate polyphenol intake. Multivariable Cox proportional hazards models were used to calculate hazard ratios (HRs) and 95 % confidence intervals (CIs) for quartiles of polyphenol intake. Analyses were stratified by median alcohol intake (< vs. ≥6.5 g/d). In non-to-low alcohol drinkers, intakes of some classes of polyphenols were associated with decreased breast cancer risk: hydroxybenzoic acids (HRQ4vsQ1 = 0.38, 95 % CI: 0.17–0.86, P trend = 0.005), flavonoids (0.35, 0.17–0.75, P trend = 0.02), flavonols (0.36, 0.18–0.74, P trend = 0.002), catechins (0.48, 0.22–1.05, P trend = 0.02), theaflavins (0.42, 0.19–0.93, P trend = 0.02), and proanthocyanidins (0.39, 0.18–0.84, P trend = 0.02). In contrast, in women with higher alcohol use, intakes of hydroxybenzoic acids (2.28, 1.16–4.49, P trend = 0.04), flavonoids (2.46, 1.23–4.92, P trend = 0.01), anthocyanins (2.94, 1.32–6.53, P trend = 0.01), catechins (2.28, 1.19–4.36, P trend = 0.02), and proanthocyanidins (2.98, 1.40–6.33, P trend = 0.006) were associated with increased breast cancer risk. In conclusion, this prospective study suggests that several classes of polyphenols could potentially contribute to breast cancer prevention among non-to-low alcohol drinkers, but some may increase breast cancer risk among women with higher alcohol intake. The authors thank Pr Augustin Scalbert for his help in adapting the Phenol-Explorer database to the data from our cohort, Ms Nathalie Arnault, biostatistician, who performed the statistical analyses, Florence Charpentier, dietitian, and Gwenael Monot, computer scientist. This work was supported by the Institut National de la Santé et de la Recherche Médicale (INSERM U557); the Institut National de la Recherche Agronomique (INRA U1125); and the Université Paris 13. The funders had no role in the design, implementation, analysis, or interpretation of data. All participants in the SU.VI.MAX cohort study provided written informed consent and the study was approved by the Ethics Committee for Studies with Human Subjects at the Paris-Cochin Hospital (CCPPRB n°706/2364) and the “Commission Nationale de l’Informatique et des Libertés” (CNIL n°334641/907094).